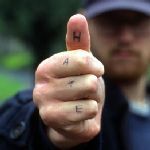 A recent Rasmussen poll tells us the half all Americans believe hate is growing in our country. This is based, in large part, on recent killing of a notorious abortionist, an American soldier at a recruiting station and the attack on the holocaust museum in Washington. Thirty five percent consider them to be isolated incidents. The rest, just don’t know if or what to think. While it’s difficult to generalize from three incidents, many people are busy doing just that. It seems those that tend to feel more vulnerable and insecure see greater generalized hatred… women (57%)… unmarried (62%). They seem to be responding more on emotion than actually looking at the details of each incidents. Each killing is unfortunate, the ending of one life and ruination of another… not to mention the families involved. However, was an irrational hatred the driving factor in each case? It seems that today, we have a difficult time thinking about and overusing the word “hate”. For instance, homosexuals believe that they are the victims of hate crimes whenever anyone opposes them or their goals. If a preacher tells his congregation about the sinful nature of their actions, they say he is preaching hate. They may be disingenuously playing the part of a victim, having realized a little sympathy when they are supposedly harassed by someone who simply disagrees with them or their agenda. In some ways believing that your adversaries irrationally despise you is less damaging to the ego than accepting that they may have good reasons that may actually be correct. The tragedy of Private Andy Long’s death is that he was killed in a war where he didn’t even know he was on the front lines. It is more comforting to consider the this the action of a deranged, vengeful shooter who, once captured, is no threat to the rest of us. This thinking would let us pass it off as an unfortunate event and not consider the ramifications of multiple Abdulhakim Muhammads among us… hating us as a society, but not considering any of us individually. We may weep for Private Long as we hope we will be spared a similar fate. What is interesting is that in the first case, the shooter was viewed by the drive by media as part of the larger pro-life community which en mass would enjoy a shooting spree at every abortion clinic in the country. In the second case, where logic, along with his actions and training, tell us the shooter was part of a group with a terrorist agenda, the same media totally ignores the evidence at hand and makes him out to be a solitary nut case. In this case, their political correctness may well be complicit in the next terrorist act. Then we have the case of James von Brunn, the one truly disturbed individual who lived in a world of hate filled fantasies. Far too many have a scorn for the Jewish people, but they don’t go hunting them or their friends down with lethal weapons. For this man to commit such an awful act, particularly at his age, one has to wonder if he felt his life was about over and he wanted to make one last statement before, what would be, a surprisingly bad meeting with his maker. He may have felt being killed by police was more honorable than putting a gun to his own head… an act that would have spared many others much heartache and pain. It could be then, that harboring his irrational hatred for such a long time in his life, he felt his actions were completely logical. We do, however feel more comfortable, more in control even, if we see the world as a logical place with an understandable reason for everything that happens – even if we witness what appear to be occasional aberrant events. What we don’t like, as a society, is to look at events as part of a bigger picture with causes and effects that can be understood, as this puts a responsibility on us to examine our selves and make some changes.